As we kick off the new year, I want to extend a personal and heartfelt thank you to each and every one of you for amazing 2012 and all of your support. In 2012, I witnessed "impossible" hopes and dreams become a reality - both personally and professionally. I pray 2013 has just as many challenges and triumphs. What brings me the most joy is having connected with someone like you. Thank you so much for not just buying a piece of jewelry, but for letting me into your home, introducing me to your friends, allowing me to show you fun style tips and trends, and most importantly build relationships with people I would never otherwise have met. Without you, quiet a few of my 2012 milestones would have not been possible. Thank you for believing in me. For not thinking I'm crazy and supporting me as I tried something new that scared the beans out of me, yet in doing so I ended up in a leadership position doing something I love - FASHION! I would love to treat you with something special in 2013. Please email me your birthday, and I'll be sure to send you a sweet treat during your birthday month. Wishing you and your family a happy and healthy 2013! 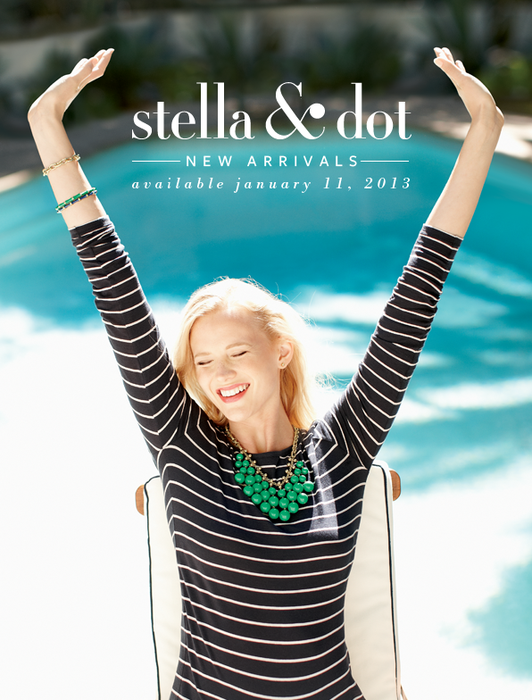 Can't wait until you see our NEW SPRING Collection launching on January 11th! 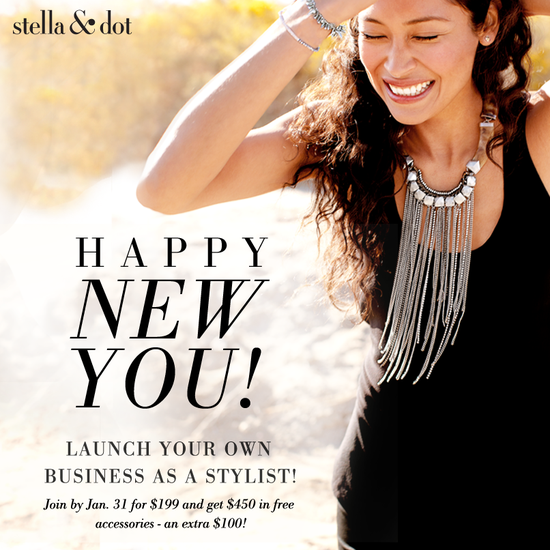 Would love for you to be one of my debut Hostesses! Message me if you want to snag a date for late January or February! 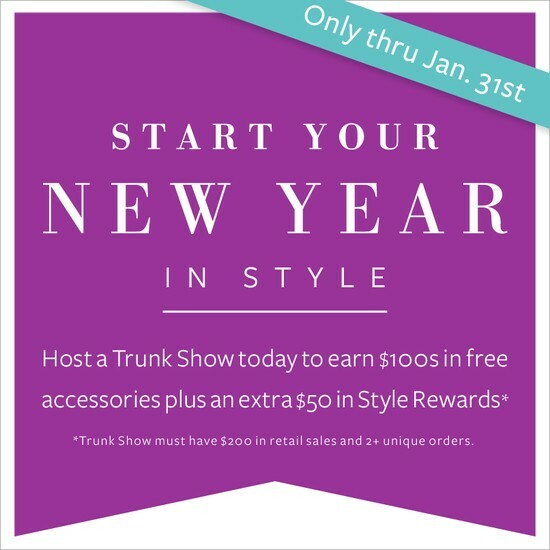 Let's start the New Year off with New (FREE) Jewels for YOU!